When I first downloaded Seafood Watch, it immediately updated the recommendations, which left me wondering how often it would do that and how much bandwidth it would need on a regular basis. I still don’t have an answer for that, but it does appear to offer the most comprehensive of seafood information in app form. A search for “clams” brought up 6 options and offered me the chance to make a suggestion to add another. Although the search is most prominently featured, you can also browse their information as if you still had their card-sized seafood guides by clicking “Seafood Guides” or “Sushi Guides”. Either way, you are connected to a phone-friendly version of their fact sheet with some basic information about their sustainability, ecology, and any specific consumer concerns (such as countries-of-origin to stay away from). 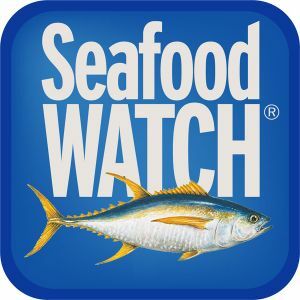 Seafood Watch also offers an app-in-an-app, connecting to Project FishMap through both the home screen and the individual species fact sheets. From there, you can report finding a source of sustainable seafood and add to a national database they’re collecting. 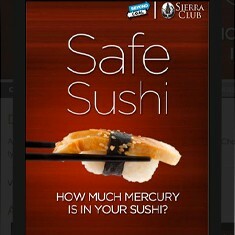 You can scroll through an alphabetical list of sushi or a pictorial list ordered by mercury content. Reverse of the common seafood cards by Monterey Bay and others, this list focuses on mercury content, giving actual tested values for each sushi type and then stars species that are unsustainably harvested. For most options, but not all, it says what type of seafood the listing was based off of (eg. bluefin tuna in the spicy tuna roll). If you don’t remember the Japanese names, however, it’s hard to find what you’re eating. Plus, it’s limited in scope to just 38 types of sushi and assumes a certain species for each of those. For my local sushi restaurant, serving yellowfin tuna instead of bluefin, I still have no idea what the mercury content is. A great start, though, and a platform that could easily grow in the future. For Android or non-smartphone users, you can text 30644 with the message “FISH type”, where type represents the seafood in question. Or check out their website. One of few apps aiming to inform consumers about human health concerns associated with seafood, not just environmental concerns. The basic setup is much appreciated – a simple alphabetical list with fish-shaped bullets color-coded by mercury content. Green means “go forth and eat”, red means there are demonstrated health impacts to consuming this level of mercury, and yellow means it’s approaching EPA’s limit of 0.3 mg/kg of mercury in the tissue. You can keep track of what you’ve eaten to develop a running tally of toxins in your body. The app itself, though, has two annoying traits that I find hard to get over: the screen turns black while scrolling so that you can’t see where in the list you are and you have to wait 45 seconds to get the full report should you click on a species for more information (ad-time). Good information, great idea, not so great implementation. From what I can tell of their website, set up like Mercury in Seafood Lite minus the annoying ads and with a lot more information. If I had an iPhone, I would probably use it. This one’s designed for pregnant women and children (or people who cook for them), but the recommendations are useful even for the child-less. It also includes a few buttons explaining the benefits of eating fish and contain a warning about the dangers of raw seafood to unborn children. The “advice tab” contains the now-familiar listing by green,yellow, and red, of fish by their mercury and PCB content (though, sadly, missing pictures of the seafood types in the individual descriptions). Perhaps the most unusual and useful feature of this app, though, is a personal log of seafood eating that tracks both the bad (mercury) and the good (DHA) aspects of seafood consumption. It then offers recipes for the low-mercury fish. Overall, straightforward, easy-to-use: I’m definitely keeping this one, even if it’s just for those recipes. Plus, it’s built by a professor at Perdue – props for great outreach. Just guessing, but a summary can be found on the SeaChoice website: Canada’s version of our Monterey Bay Aquarium guide. Good for all you northerners. 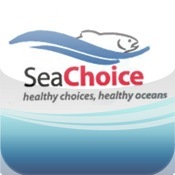 A more in-depth version of SeaChoice, it also includes Canadian seafood recommendations, but also locates nearby OceanWise restaurant and vendor partners, even allowing you to make reservations. There’s also a crowd-sourced gallery of sustainable seafood pictures that will make you want to find one of those restaurants. Freshwater fish ID (North American only). I didn’t buy it because I live in a marine fish environment, but it advertises 10% of profits going to conservation groups. Apparently you can’t search by name, just scroll through pictures. Seems fairly par for the course. The “search” offers you an alphabetical listing of photos of fish you might catch in fresh or salt water, respectively. 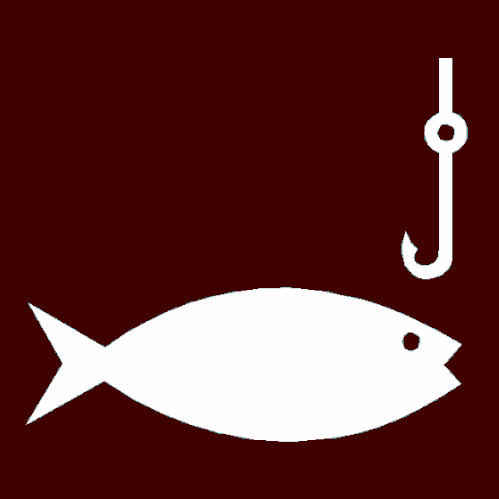 Should you catch one and are unsure of the keeping-size, the app also offers links to the catch limits for all 50 states. 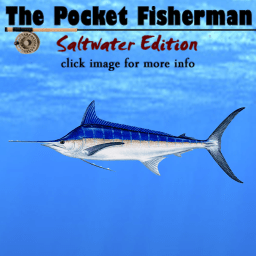 You also get a short summary of the basic ecology and behavior of the fish you’ve caught as well as any fun facts, including world records. Good interface, one small ad on the bottom if you get the free option – or you could upgrade for $0.99. Something I think I’ll use on my next fishing trip. It’s a digital textbook! Best on the iPad, this one adds interaction to learning about marine mammals and other megafauna. Can’t wait until I can get it too! Here’s a review. No app necessary! 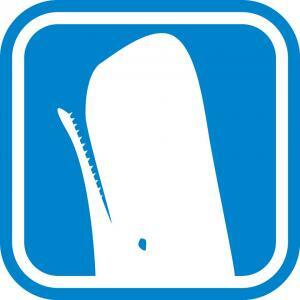 This one’s for anglers to text North Carolina Sea Grant what they’ve caught. It’s learning and helping science at the same time! Find out more. It’s still in the pilot stages, but this seems like a really easy way to get enthusiasm on the water to help figure out what’s going on in the ocean.